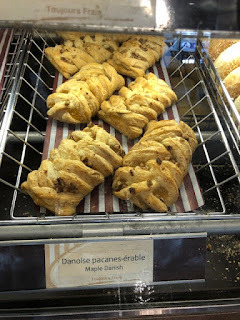 For my last Tim Hortons till next visit to Canada, I got several items. 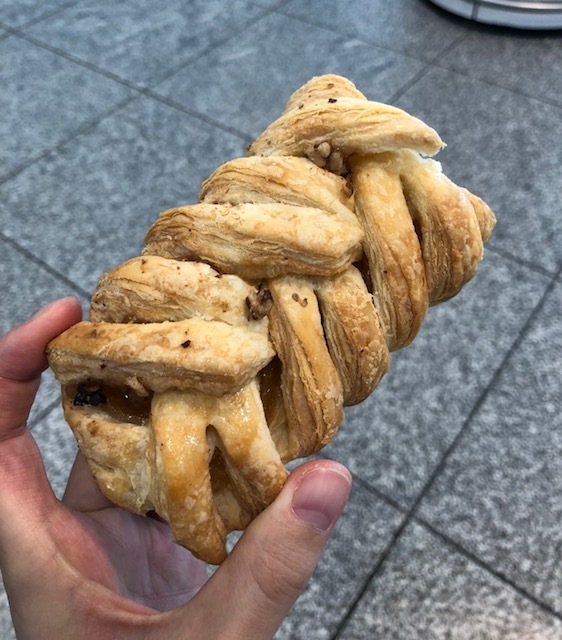 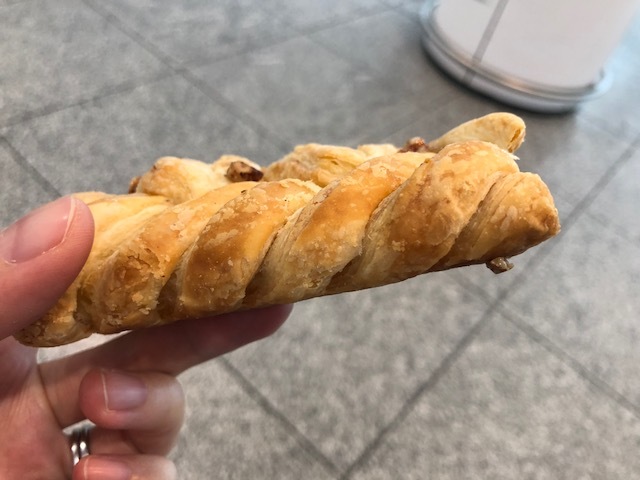 Pecan Maple Danish was always on my list and I finally tried it today. It had nutty scent and there're some pecan nuts. 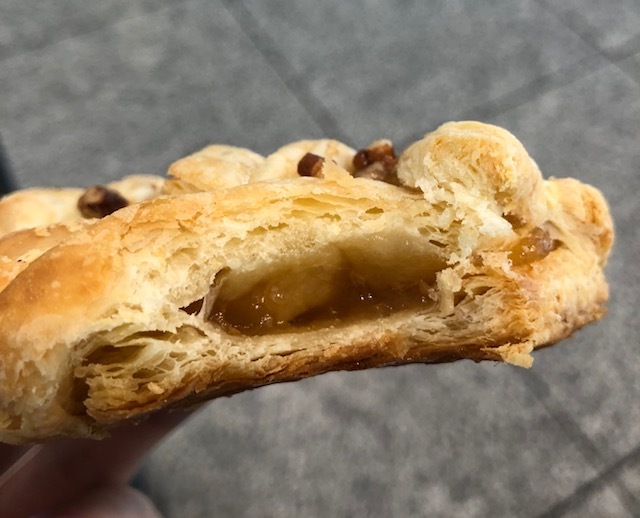 The pie was light and crispy, and the filling was maple flavored jam or something sticky. 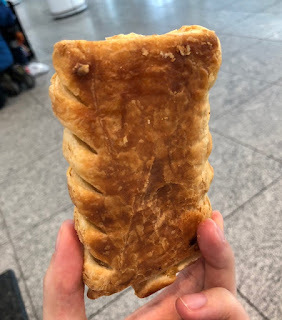 Though it had nutty scent, the maple flavored filling was so strong that I didn't really taste pecan besides there're only a few pieces on the pie.